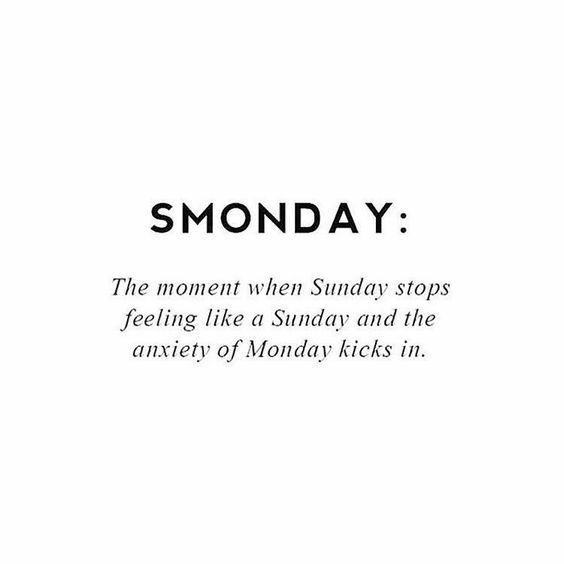 The Sunday night fear is a real thing. If there is one night of the week that I can't sleep then it's a Sunday and if there is one morning I'm running late for work, it's a Monday. One of my pet hates is having a ridiculous amount of unread emails (I reply to those that need a response during the week) or answer phone messages. So on a Sunday, I go through my inbox etc (remember to check junk) and delete anything that is not required. One of the main reasons I run a little late in the morning (apart from hitting snooze) is the fact that I have the inability to decided on an outfit. Simple solution: prepare your outfit the night before. My memory can be like a sieve sometimes and so I use a diary....but I have a bad habit of forgetting to update it. When I do remember, I quite like to update it on a Sunday so I can see what is happening for the week ahead. Similar to the above, I find that having a weekly to-do is essential to having an organised week. I am actually a bit of a to-do list nut and I have a to-do list for absolutely everything. I love the satisfaction of a completed list. I don't know what it is but I always feel completely relaxed and ready for the week ahead with a bit of a pamper session on a Sunday. I like to put on a face mask, paint my nails and toes and also give my hair a little bit of TLC. I don't have a bath as my flat is a little small but I do also like a long shower. If you can, prepare your food for the next day the night before. Whether that is a salad or a sandwich, having it ready to grab and go in the morning makes all the difference. Believe me! Living in the world which is dominated by technology means that it can be hard to switch off. On a Sunday evening, I like to switch off my laptop/tv much earlier than usual and curl up in bed with a good novel. I find that by doing this, my mind is much more at rest and I sleep much better. How do you combat the Sunday night fear?